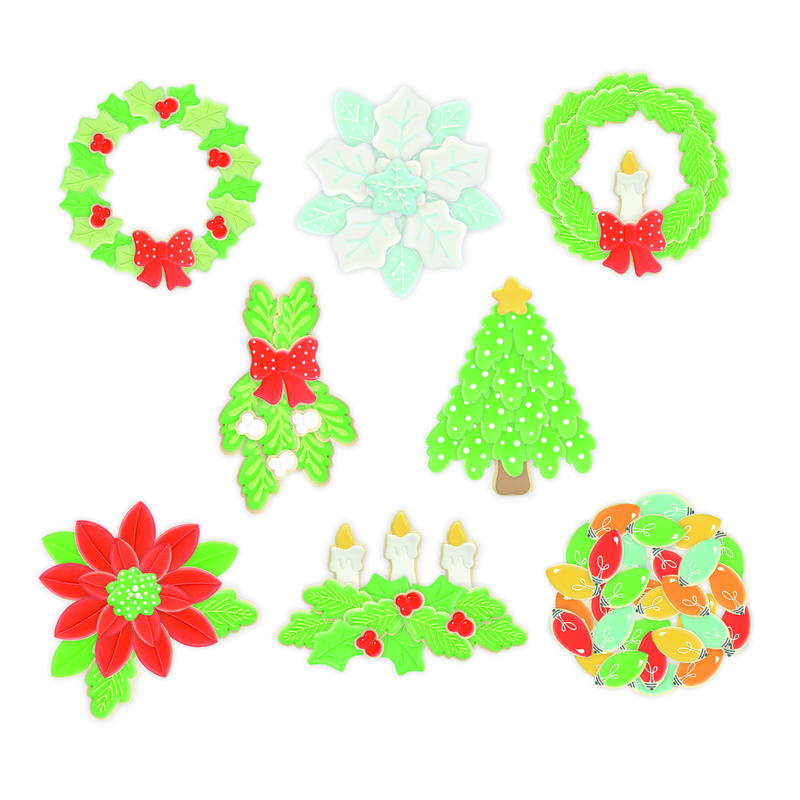 Sweet Sugarbelle’s Holiday Platter Set is more than just an assortment of basic cookie cutters. With templates, instruction cards, and online tutorials it’s easy to turn 8 basic cookie cutters into 8 unique holiday platters. When assembled, each platter is designed to fit on a 14” round platter.The set also includes 12 templates and 5 instruction cards to help get your creative cookie decorating started. Snag a spot on Santa’s “nice” list this year by surprising him — and the rest of your holiday guests — with a multitude of festive, fun cookies. This bundle maximizes your cookie creativity, with cutters & templates that allow you to make multiple holiday cookie designs from a single cookie cutter. The jolly old elf himself would agree: It’s one sweet idea!